Mr. Wilson received a Bachelor of Science degree from Mercer University School of Engineering, Macon,Georgia. His degree has a specialization in Electrical Engineering and a minor in Computer Engineering. Mr. Wilson joined SP Design Group in 1990 while still attending college. 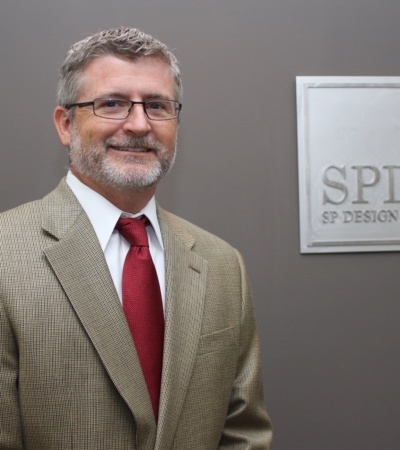 After completing his education in 1994, Mr. Wilson continued to serve as a full-time design engineer with SP Design Group. He became registered in the state of Georgia in 1998 and is also registered to practice engineering in Alabama and Florida. Mr. Wilson became a partner in SP Design Group in 2002. He serves as Director of Engineering on all SP Design Group projects. His internship under a dual disciplined engineer, Sylvan Thuente (retired principal of SPDG), presented a very diverse approach to building systems engineering. This experience and expertise in engineering systems ensures SP Design Group projects attain full system integration and coordination of the various disciplines on our projects. Mr. Wilson is active in the community and has served as president for the Warner Robins ‘Noon’ Optimist in the past and remains an active committee chair. He is active with his children’s sports pursuits in tennis, golf and baseball. Mr. Wilson is very active in USTA tennis and enjoys golf on occasion.